Just to further help your cause… I can agree whole heartedly that wrong corsets are horrible!! I am a 32DDD, 33, 42… and most off the rack corsets do next to noting for my waist… but do manage to squish my hips and ribs terribly. Not to mention the wretched squish out it causes. I can also say that in a 186o’s era corset.. i have played basketball with my brothers, camped out, and hiked in a place called “devils den” (aptly named… wretched place).. and this corset being one of my own creation i dropped my waist to a 26, with no aches and pains… in fact i dare say I had less aches at the end of those days than i do on a regular day. I may like to add another historical aspect into the whole argument that ladies constantly fainted due to the corsets (which we can say was most definitely not the definite). During the earlier time period when gas lighting was introduced into homes you were bound to have some leaks, they were more common than you would think. If a fixture was improperly maintained or installed improperly in a home a gas leak could occur, this leak could cause the inhabitants of a room (due to over exposure) to faint. If you had a tight lacer wearing an ill fitting corset (constricting the ladies breathing) it would be the ultimate recipe for fainting spells and misrepresentation that it was strictly the corset’s fault and not the lighting fixtures. I think that sounds plausible. A couple of years ago I attended an 18th century ball and there was an accident with the fireplace and the room was filled with smoke. I was not laced hard at all, but my body rebelled when oxygen became scarce and I nearly fainted and had to remove my stays for the rest of the evening. 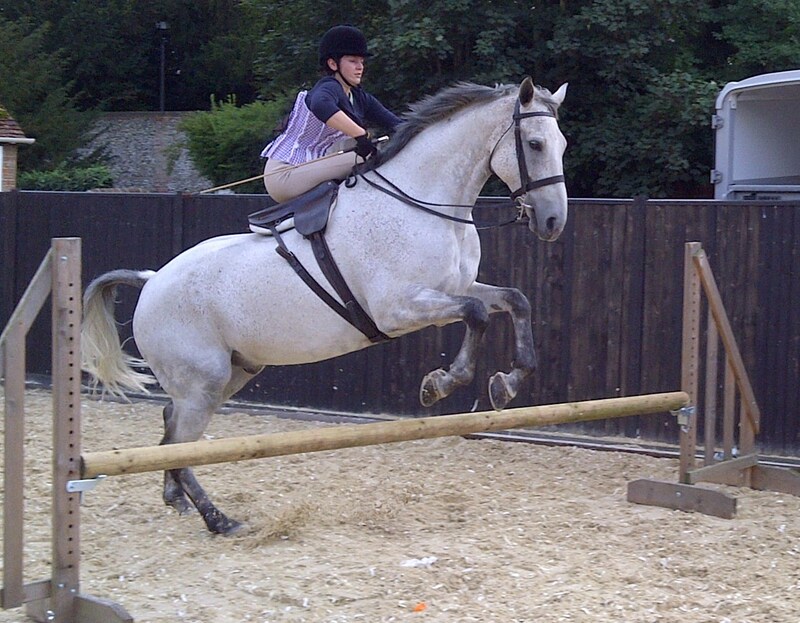 Only time I have ever had any trouble laced! Bravo! There can never be enough articles debunking those myths! 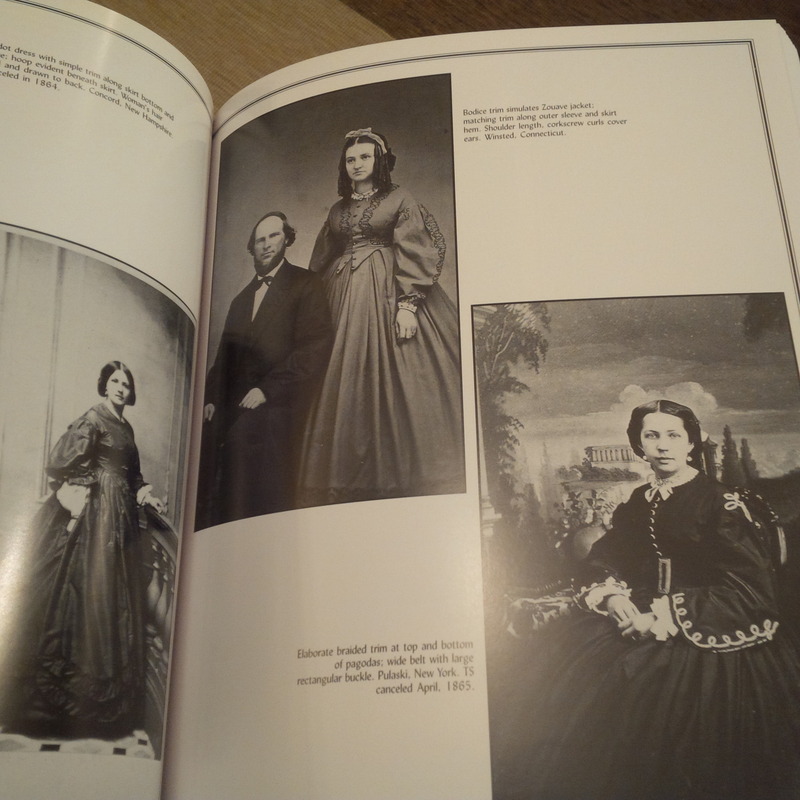 Many years ago I saw an exhibition in Sweden were almost a whole late 19th Century wardrobe of a well to do lady whas shown. 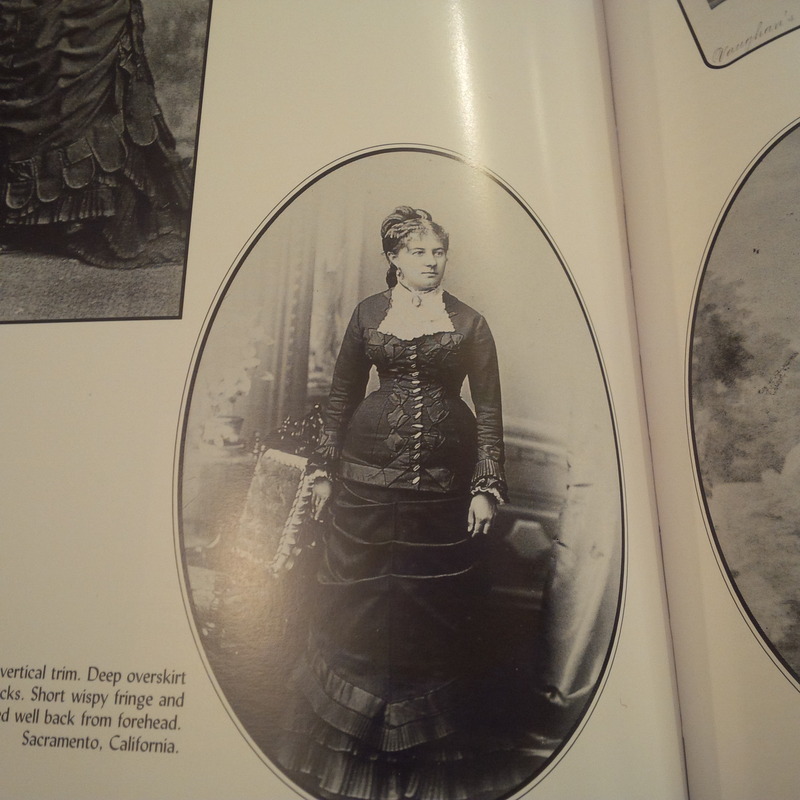 I found it very interesting that her ball gowns were about 4 inchjes smaller in the waist than her day gowns, clearly showing that the lady laced herself moderatly on a day to day basis and then went the whole hog for a party. Add in that she was exerting herself with however much dancing, and having more alcohol than usual, and, like ladies today, may have eaten little during the day because of busy-ness, excitement, or the desire to tie her corset that little bit tighter, et voila! A fainting spell. Plus also: not all fainting was medical. Some, maybe most, was tactical. Ladies were known to faint, so much so that how to faint, gracefully and so that your clothing didn’t become dislodged or your skirts end up revealing a disgraceful amount of leg, was taught in finishing schools or by mothers or governesses or your teenaged peers. Now, if one has actually passed out, none of this knowledge can be applied. Because one is unconscious. But if one is fainting to attract attention, or distract from something or someone else, or escape a conversation, or any number of other reasons, then this knowledge comes into play. This also implies that women who were not so wealthy generally didn’t lace tightly at all–much like most women of the middle class and lower today don’t wear the kinds of things you see going to the Oscars and so forth. Interesting article! I have done quite a bit of research on corsets because I have been working on a novel that takes place in the 1800s, so I always enjoy information. Do you happen to know what happens when you are wearing a corset and you get completely wet? Or if women had different corsets for when they traveled? Either way, thanks for the interesting read! 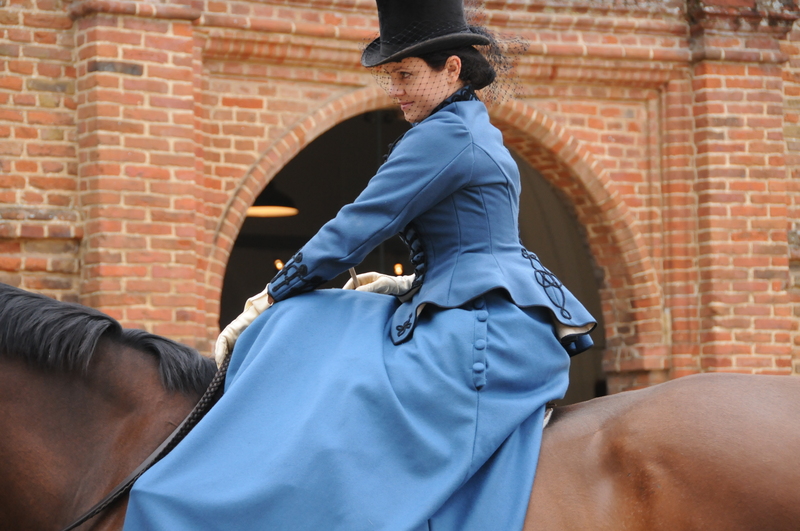 travel corsets – if travelling by horseback, shorter or sport corsets were worn. 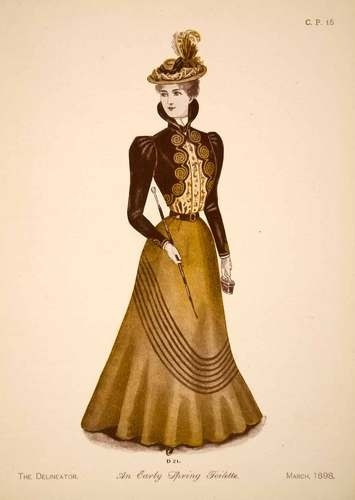 if in a carriage or train, for shorter journeys normal corsets would do without any problem – similarly for longer ones though ( on a train where you can move and walk), but i wouldn’t be surprised if ladies wore the shorter corsets for comfort too! Have to say, I love the corseted look; not simply the thinner waist it gives me, but the smooth silhouette and the way I stand and move in it. Unfortunately my finances are just too tight to get a custom made corset, although I’d love one, but I’m lucky enough to find modern made, shop bought corsets very comfortable. Gradual lacing (half inch every half hour if need be) means I can lace fairly tightly and still find them comfortable for a whole day. And yes, I get the same questions: “how do you breathe? How can you move? Isn’t that ridiculously uncomfortable?”! This is a great post. Thanks! I do have to say though that I have actual testimony of ribs being removed. I heard it from the horse’s mouth, so to speak. My great-grandmother talked about the lunacy of some women who had their bottom ribs removed. No pain medication, just cut, reach in, snip, and pull. It was a grisly description. My ggm was extremely practical and not one to go in for fancy or exaggeration at all, so I believe her account. She did say that it was not at all common. thanks! I must admit i am a naturally very skeptical soul, so until i see hospital ledgers, I treat everything as hearsay…. after all we do gossip nowadays too, and some of the things we shear nowadays are tre – and some not. Interesting to hear though! There is NO WAY people in the 19th or even most of the 20th century had ribs removed. That is a serious operation now and done under extreme circumstances such as to facilitate open heart surgery or to remove the bone due to bone cancer in that specific rib. The floating rib is fixed to the spine at the back so any removal of the rib cannot be done simply by “cutting, reaching in, snipping and then pulling”. The rib has to be physically broken and removed from the spine – which would require an operation on the back, near the spine to deal with the serious damage that would cause. In addition, the ribs protect the lungs so are very close to those lungs. To safely remove a rib, would put the lungs are great risk and even if the person survives (unlikely in the 19th century), would now mean the lungs would be unprotected in that area and wearing a corset then would be impossible. Great comment, Bess, thank you! Explains a lot- hopefully will help debunk that ridiculous myth for good! Not to mention how firmly ribs are attached to muscle and other tissue, and the proximity to the thoracic and even abdominal cavities which makes infection quite catastrophic if these areas are compromised. Rib removal actually happened as a last resort treatment for TB in the 1920s. It doesn’t make the waist smaller. Bodies don’t work that way! Very interesting! I’m thinking a well fitting corset was probably much healthier than the yo-yo dieting trap. or other eating disorders such as anorexia, etc. Just from your waist images alone, I am very curious how you manage to squeeze 10 inches out of your waist? You & I have approximately the same size waist & I absolute LOVE the corset for the relief I get from back pain of far far too many car accidents – as passenger – (young & stupid days). 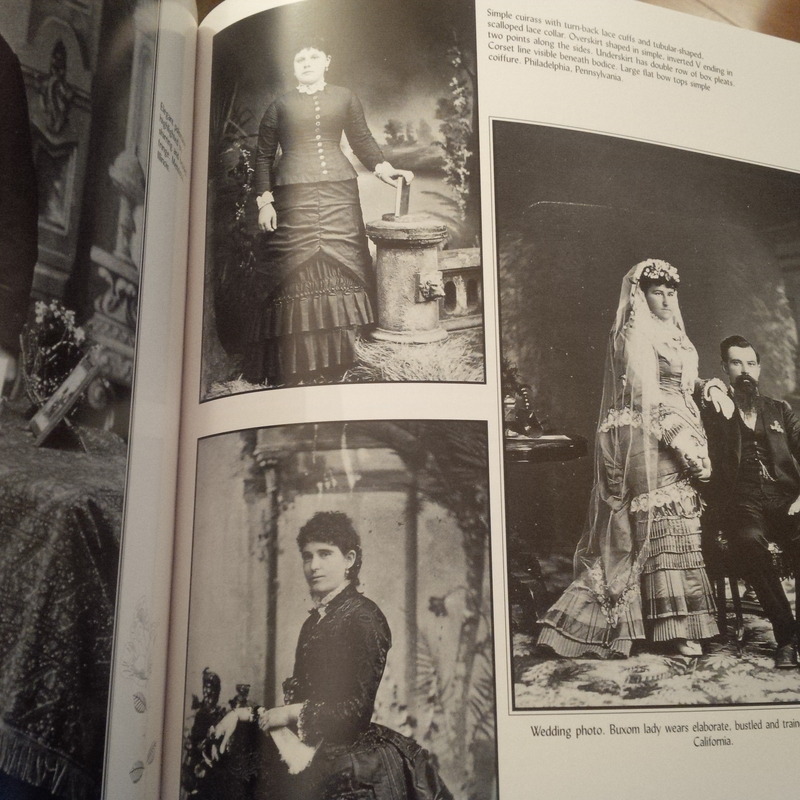 I adore the late 1870s attire & have been making some for myself as a regular day-wear. Also you talk of spring steel as a boning? do you have any images that I could see that would help me when I go to get some? Also where is the best place to get it? I used plastic boning in my first 2 corsets, but when the plastic bent too badly – from my own body heat – it became impossible to wear. Now I just put it on when the back pain is at its worst. I live in Canada so I do not have the same shopping options available. I am open to ideas & suggestions. I also have a very very very snug budget. Love the article & that you took the time to dispel many of the myths. well, the 10 inches usually get shifts from the waist line to the belly and hips. My own corsets with such reduction, have about 2 inches more than my own hips to accommodate the surplus blubber 🙂 spring boning and supplies – I get mine from Sewcurvy.com – http://www.sewcurvy.com/corsetmakingsupplies/. they do send abroad as well, and have pictures of all kind of boning:-) hope that helps! If you live in Canada, then Farthingales is the source you need to check out. http://www.farthingalescorsetmakingsupplies.com/Default.asp. Spring steel is a flat, coated steel “bone” with a good amount of back and forth flex. Spiral steel has all-direction flex. 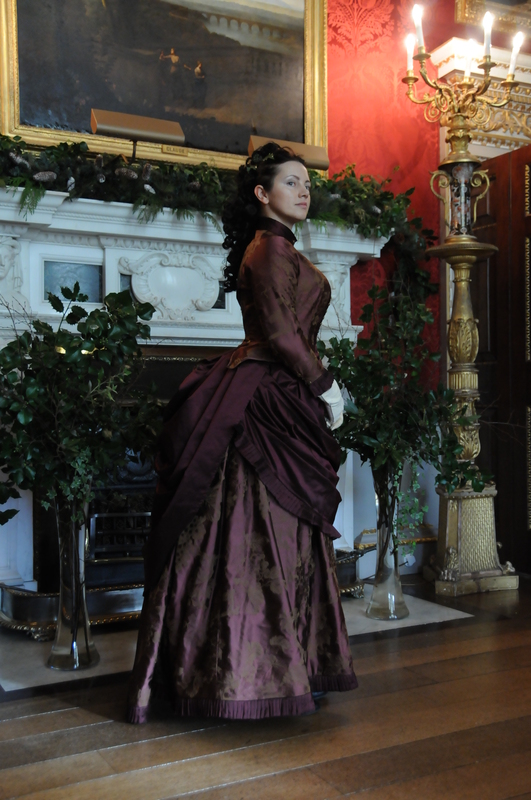 Farthingales also has some very good tutorials and corset-making information. They sell everything you need to make a corset, from patterns to coutil to bone tape. I’ve ordered from them frequently, and I live in the U.S. Luckily the now have a U.S. retail partner. If steel bones are too expensive, go to your local hardware store/big box home supply store and look for 1/2-inch-wide, 36-inch-long plastic cable/duct ties. Not electrical ties: cable or duct ties. They’re better than the plastic boning products sold in sewing shops, and very affordable. They are heavy duty, and resist heat well enough that (unless you’re wearing a corset made with them every single day) they won’t form themselves to your lumps and bumps–unlike plastic boning. I use them in my Regency-era stays because they’re lighter than steel, but for a Victorian-era corset, steel is the best option. Thank you, great info! 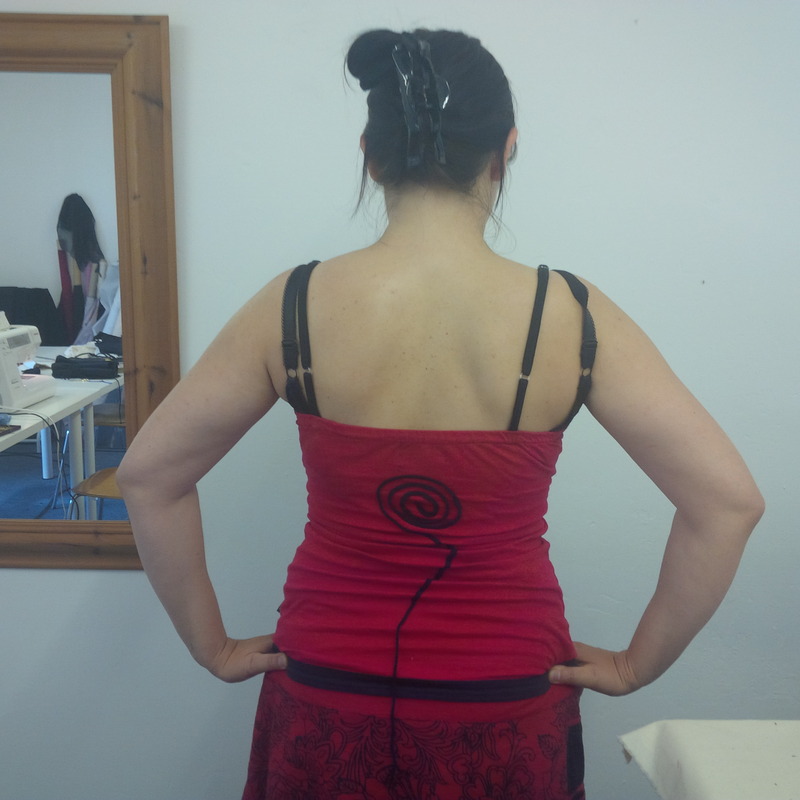 I love corsets and have few for costumes, but I always worried about how much they might weaken my back muscles – I’m in my fifties, already have disc hernia and I feel so much better when a corset is supporting my back, especially for a long day on feet. The flattering look actually is the secondary thing for me. I found corsets helped me walk again after issues with child birth and were far better than the giant tuby grip the hospital gave me and looked nicer. But I found people were horrified I’d squeezed into them so soon after having a baby – I had both separated pelvis and muscles. And I know other women have found the same with their pregnancies and after affects. Interesting take on wearing corsets. She’s dealing with Victorian-era looks, but the comments about well-made corsets apply to pin up styles as well. just a minor detail to a great and ever so interesting article, but thought you may be interested in the fact that Miss did not denote and unmarried woman, but more a woman of low status. ergo, an unmarried business owner would have been a Mrs, but her married housekeeper a Miss. I’d be fascinated to learn where your information is from. It directly contradicts all literature I’ve read from the Regency, Victorian, and Edwardian periods. Are you referring to titles from an earlier period? I’m admittedly less well read in those. What particular information are you referring to, if i may ask? Oh, dear, I seem to have replied incorrectly. I wasn’t asking about the information from the post, which was excellent and taught me a lot. I was trying to ask the commenter about the information on “Miss” vs “Mrs.” They wrote that these titles applied to social status rather than marital status. Cat, a bra is SUPPOSED to support from below, as well–specifically, from the band. The straps aren’t intended to support the breasts, just to keep the cups from shifting out of place. Unfortunately, we live in a world of ready-to-wear clothing that fits very few people well, so most women are wearing bras that don’t fit them right, and the weight of the fat sacks we call breasts hangs from the shoulders. I found this out personally when I was in my mid-twenties–I am a DDD/F cup–and I went to a bra boutique instead of a department store. I was measured properly by someone who knew what she was doing, and fit into a bra that suited me the best–smaller band size, larger cup. I have been able to wear my bras without putting the shoulder straps up ever since, even the soft-cup bras. The straps rub and itch under my pits, so I don’t generally wear them that way, but I CAN, with no backaches or headaches. I still prefer a custom corset, but that’s because I LOVE what they do for the lumps and bumps…. I’d like to point out that from what I’ve seen, “fainting couches” appear to have been more common in warmer climates (the American South, for example). I believe woman feinted frequently during the Victorian times not due to corsets, but due to the sheer amount they were wearing. Layers and layers of fabrics, often tight around the midsection – it was heat exhaustion! (Not to mention it was seen as a very feminine thing to do, so much of it may have been exaggerated). I have no Idea how my Great-Great Grandmother did it in the Australian summer. Acclimatization. Heat–and cold–are actually harder on modern people who have air conditioners and heaters than they were on people who were around before they existed because people back then had no particular choice about getting used to the weather as it rolled around, whereas modern folk make temperature changes of upwards of 20 degrees F. several times a day for most of the year. Also that polyester petticoat was probably part of your problem; polyester doesn’t breathe, and even a single undergarment of material that doesn’t breathe does horrible things to your heat levels. Polyester? Yikes! No wonder you had trouble! NEVER wear synthetic fibers as part of a historical costume. Accuracy aside, polyester and other “plastic” cloth traps body heat something awful. Stick to 100% natural fibers as a general rule. Dehydration might also have been a factor. 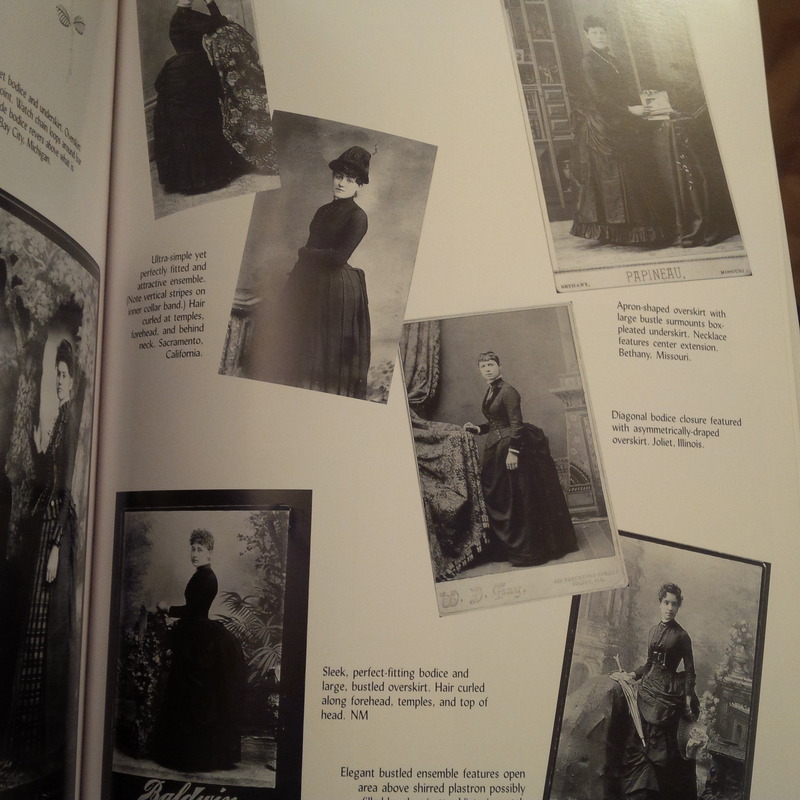 I think that Victorian women would have been perspiring heavily under all of their layers of clothing, and could easily have become dehydrated in warm weather. And dehydration can cause dizziness and/or fainting. So, if you are wearing the full, historically accurate costume on a hot day, remember to drink _lots_ of water, and remember that you can become dehydrated _before_ you get thirsty. I have a going out corset and I love it !! Where would I get one to where every day under my regular clothes? My back feels so much better when I wear one . Its nice to see those beautyful dresses. And corsets. A lot of surviving costume from the Victorian period is also mourning wear, which would have been happily discarded after a while and have limited reuse. Reblogged this on A Damsel in This Dress. A wonderful article with desperately needed information. When I made my first corset I wasn’t sure how comfortable it would be. I only gave it about 5 hours of “break-in time” before wearing it all day at a Victorian Festival. It was extremely comfortable. I had no back pain (and I have a bad back from old injuries). In fact, I was more comfortable in the corset than out of it. Same thing goes for my Regency stays – my back loves them. About the ability to bend over – I don’t have much problem with it, but I’ve seen others really struggle. I think one of the problems may be that their corsets are too long over the hips, especially in front, so the hinging action of the hips is restricted or even prevented. Just a guess, but most of the women I see having real problems are wearing corsets that don’t fit correctly (you can tell a lot from their clothing). As for how these garments managed to last to this day – there are so many variables here. Maybe some families traditionally kept their ancestors garments (I know a family who does that). The wealthy woman’s or gent’s clothing received rigorous and meticulous care, which would improve longevity. And, as you mentioned, clothing would be stored to be handed down. One thing that I also think is valid, although I’ve never seen it addresses anywhere, is death. People died at a much higher rate than we experience today. Clothing might have been kept as a remembrance and out of love. I don’t know if it’s fact, but it seems a reasonable possibility to me. As to not being able to bend….I think its the “bones” which is the problem and causes issues in bending or lack of bending. I have 6 off-the-shelf corsets from Corsets UK who I think are actually very good value for their price…providing the buyer understands they are NOT going to be made *for* their particular body. One of those is an underbust and VERY comfy…apart from the problem of not bending. The other 4 are their standard type which are great to an extent, but as I super curvy they weren’t *quite* right – squishing hip more than they should and not supporting the bust as well. 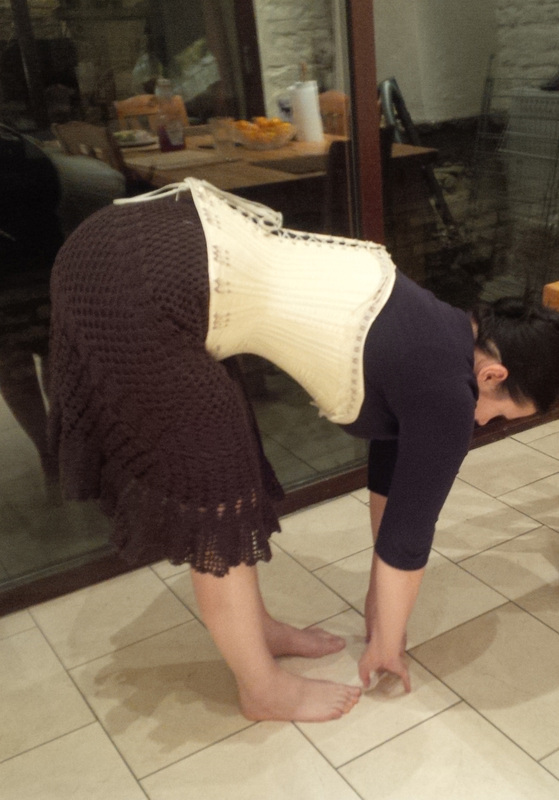 As with the underbust – I can’t bend in them. Then I found a new range at Corsets UK which have a shape which is absolutely PERFECT for 1860s…This is my 6th corset from them. Fitted me beautifully from bust to hip and what a waist shape (3 inches down – which isn’t “much” but the shape it creates gives illusion to a teeny tiny waist…people were assuming I was below 30″!). However, the bust again wasn’t perfect – I’m just that bit too big for *that* corset but it was better than the ones before. I have spent an entire day in London in full costume wandering around the underground and around museums and no pain at all just after Christmas last year. It was a revelation. But again, I can’t “bend”. One of my friends with me had to keep picking stuff up I managed to drop (ermine scarf or gloves!). THEN I had a new corset for my birthday from What Katie Did. Again, its a gorgeous corset and fits me at the bust as if made for me…And I can bend. Why? 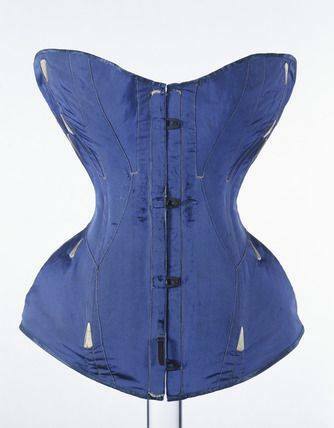 because unlike the Corsets UK ones (which I do like and WILL recommend for newbies to Victorian), this one doesn’t have steels all the way around. Only in the front busk and the back lacing. The rest of the bones are the new synthetic whalebone and it is fab stuff. Moulds to the body but springs back to normal shape (unlike horrible rigilene which once bent stays bent). 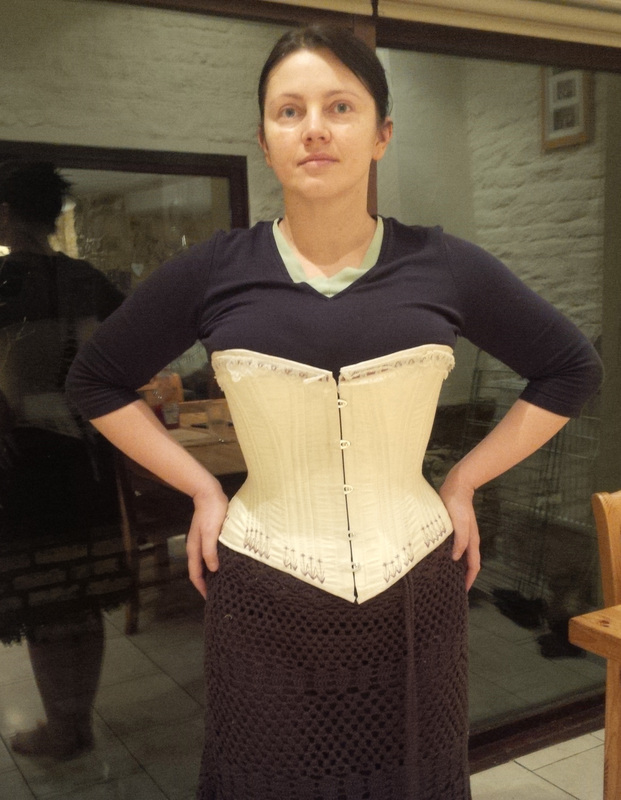 I’ve not managed to have a full day in this new corset *yet* (hoping to on the 7th March) but am loving it already. Last year I was able to look closely at extant corsets from the Symmington Collection. Just like WKD corsets, these only had steels in the front and back. The rest of the “boning” was mostly tightly twisted paper cording – fraction of an inch wide – but when placed side by side all round, and using a firm top fabric (most were “drab” fabric) and lining AND a tightly woven hessian interlining, made a very firm, shaped corset which would have provided the fashionable shape, support AND allowed the wearer to bend. Also allowed for the makers to MACHINE sew the beautiful and very intricate flossing designs. Couldn’t do that with steel bones! Spiral bones don’t appear till the Edwardian period (1910 I think), and flat steels don’t seem to be used in period corsets except for the busk and back (mostly). The boning as used was usually this cording, or cane (which I’ve used in Tudor bodices to great effect) or whalebone (mostly for elite corsets). Personally I find that I can’t bend over and touch my toes when wearing a corset, nor ride sidesaddle , do cartwheels or any other acrobatics . Does the fact that I can’t do any of these things when I’m NOT wearing a corset make any difference please, Izabela ? Absolutely agree Izabela…My point above is what was being used *in the period* may provide some clue as to whether Victorian women (and indeed their corsetted forbears) were able to “bend” and move, so they could easily go about their day-to-day business…and the answer is yes. Few would be doing the kind of exercise that is popular now (e.g in gyms or whatever). Their exercise was in corsets and day-to-day work. No woman was going to be attempting to work a full day if they were physically restricted in what they could do. Modern off the shelf corsets aren’t designed to allow freedom of movement-plus-shaping. They are purely decorative and for the “odd night out” use. 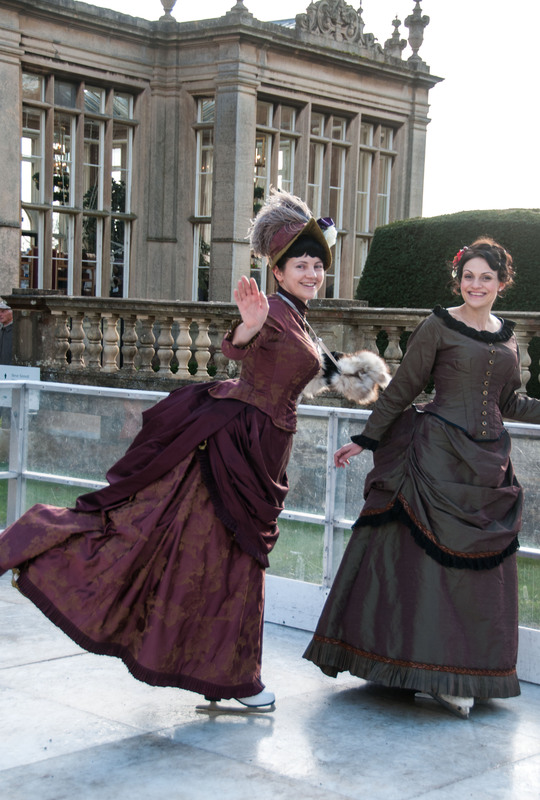 But then the question is *how* did the Victorian ladies marry flexibility and shaping? What was *in* the corsets to enable shaping and close fitting support but also flexibility? The answer is in the “boning” that was used: featherboning from…feathers (1883 – Warren Featherboning Company); Cording (cord, twisted paper, ixtle plant), reed/cane and whalebone (baleen). Flat steels were around, but as they didn’t have the plastic covering and as they easily rusted, they weren’t popular for corsetry, except where *needed* like the busk and back lacing. Spiral steels are far more flexible – hence why they are in use in long line Edwardian corsets, but they aren’t authentic for Victorian, being invented in 1904 by a Mr Beauman, whose invention was then taken up by Mr William Wallace Kincaid and Mr Pardee…they founded the Spirella Corsets company. There was an early form of a “spiral” kind of boning made from watchsprings but again, not that common due to the rust issue. Modern flat steels simply won’t allow as much flex in the waist/torso as cane, twisted cord and whalebone (real or synthetic) does. My corsets UK ones are very inflexible even though they give a lovely shape. My WKD isn’t inflexible and actually gives me an even better reduction because the bones in it CAN flex enough to mould to the hour glass figure AND give flexibilty. I *can* get to the floor without straining. 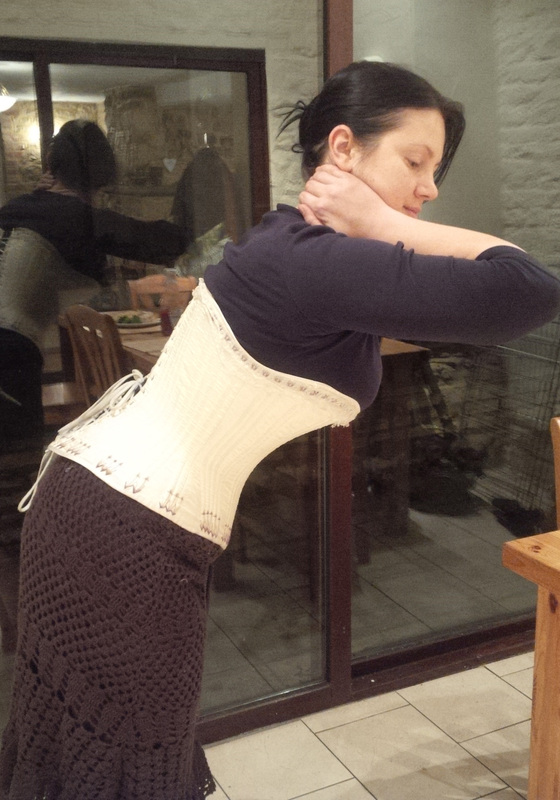 Lastly, but not least, its is going to be a personal thing too…I can bend to the ground with a bit of stiffness when out of a corset but that’s due to a back injury (fracture in the spine) 20 years ago (wasn’t found for 6 months!) which now gives me bad sciatica (this past week in work, I’ve been bent over double every time I get up from my chair…maybe I should wear my corset in work!). 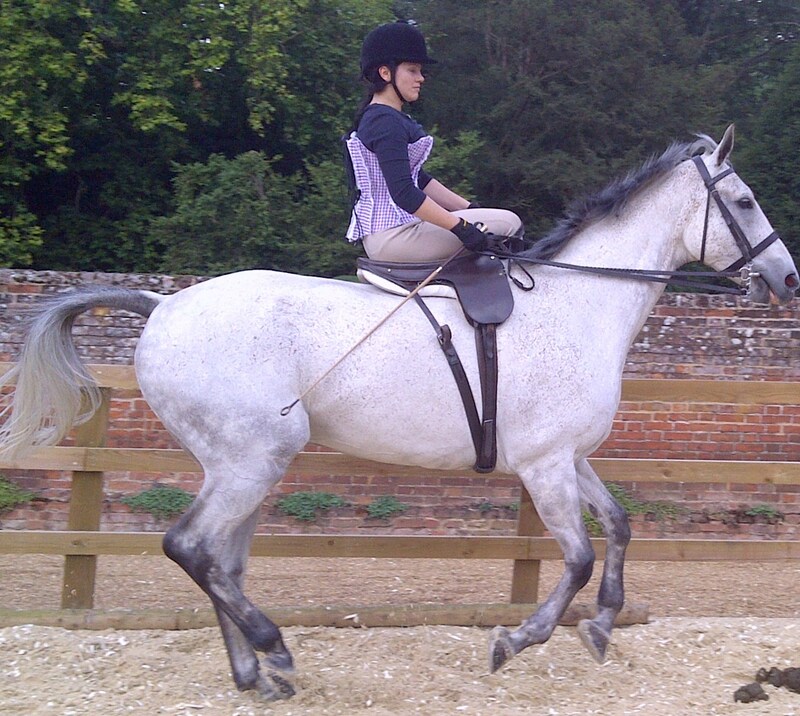 I’m never going to be cartwheeling or anything anyway out of corset let alone in one. Other people will be way more flexible and supple than I am so that will be a big factor. As I said, my comment was on what *was* more likely to be used in period corsetry to enable the balance between flexibility and shaping. I LOVE my custom corset! I have a mid-1800’s corset that I wear to events, and people ask me all the time if I can breathe or comment on how uncomfortable they would be if they :had: to wear a corset. Pshaw! I say! 😉 If worn as it was supposed to, it can be worn all day with no problems. Actually, I’ve noticed how much better my posture is and how my back doesn’t hurt (like it does at work – yay for retail!). Your “Theory Secundo”–“it seems to me that a lot of surviving clothes belonged to teenagers and very your ladies” makes a lot of sense. 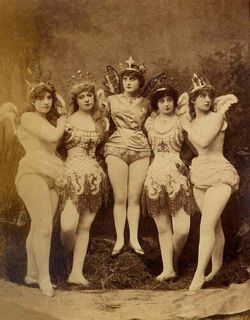 I am just getting into historical reenactments and costumes, and I was wondering where to find good quality edwardian style corsets? Thank you for a very enlightening and well written article. Where to find a good corset for day to day wear (e.g. under casual clothes, to school etc.) to improve my posture? I am rather tall and thus tend to slump/slouch which causes pain in my back, neck, and shoulders. Yes, I read the part about how overuse and prolonged inactivity can cause muscle atrophy, but I just want to get back in the right position and don’t intend to wear it every single day. I’m writing a gothic late-victorian novel and I just have to say that I am SO THANKFUL to have found your blog! I need to know all about women’s fashion and this has been a great place for me to read up on it! This was a fabulous post and I enjoyed reading it, even all of the comments! My name is Kathlene, and I’m a huge fan of history, especially the Victorian Era. I recently tried on my first corset, and I suffer from cronic back pain from my work as a nursing aide, but as soon as the corset was laced properly it really helped the pain and relieved some of the tension in my back. I was thinking about buying one from the shop, it’s an antigue store that have various sizes and fits them to your shape, and was hoping to use it at work. I work 12 hours, 3 days a week lifting and moving people and was hoping you might have some advice on the matter, as you wear corsets quite often. I would really appreciate any help or advice, and I apologize for such a long comment. Thank you so much for this! It’s really quite amazing what people believe about the Victorian era. It’s even crazier that they think women removed ribs to fit into them. There was a good chance of dieing after a necessary surgery. They certainly didn’t do frivolous surgery!